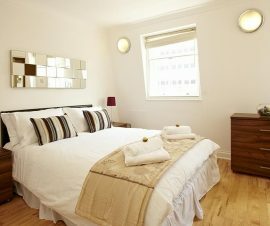 This beautiful studio is located in a high end building, a couple of minutes walk to Old Street station. 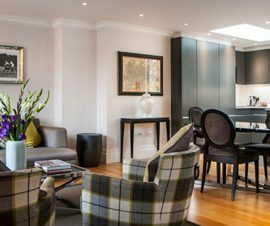 The high-end furniture, its elegant partition between the living & the bedroom areas and the quietness of the place make this apartment particularly suitable for long stays. 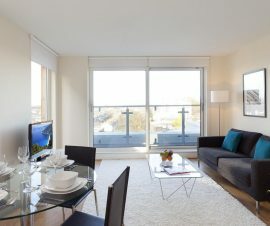 Enjoy the facilities of the building – free access gym, spacious communal terraces – after a long day to wind down, or take advantage of its great location and excellent transport links to go out and about the city – whether you are in London for business or leisure, this apartment will offer you the best of London.